ERIE, MI (March 29) – Engine Pro Sprints On Dirt presented by ARP is proud to announce that long-time SOD supporters Tim and Cindy Norman’s XYZ Machining will be part of the SOD family as a sponsor partner for 2016. XYZ Machining will sponsor this season’s Sportsman of the Year Award and Crew Chief of the Year Award. Warsaw, Indiana’s Tim Norman was a SOD competitor for many years. He first raced with Sprints on Dirt in 1984 and won rookie of the year honors. Tim went on to win Sprints On Dirt championships in 1985, 2005, and 2007. Tim and wife Cindy own XYZ Machining. Tim uses his years of racing knowledge to produce CNC manufactured aluminum and titanium racing components, as well as custom products for other industries, that are distributed worldwide. XYZ’s parts are used by some of the leading sprint car manufactures as original equipment. XYZ Machining pays close attention to the three things important to its customers: on-time delivery, quality work, and excellent customer service. To learn more about XYZ Machining, go to www.xyzmachining.com. For more information about Engine Pro, go to www.enginepro.com. For more information about ARP, go to www.arp-bolts.com. The full 2016 Sprints on Dirt schedule, rules, current news, and other information are available at www.sprintsondirt.com. Engine Pro Sprints On Dirt presented by ARP is brought to you by many important sponsor partners including: Engine Pro (Title Sponsor), ARP (Title Sponsor), Hoosier Racing Tire (Official SOD Tire), MAHLE/Clevite (Beyond Limits Challenge Sponsor), Engine Pro (Lucky Dog Sponsor), Lane Automotive (Primary Heat Race Sponsor), Engler Machine & Tool (Primary Heat Race Sponsor), COMP Cams (Primary Heat Race Sponsor), RockAuto.com (SOD Series Rookie of the Year Sponsor & SOD Sprint Car Rookie of the Year Sponsor), XYZ Machining (Sportsman of the Year Sponsor & Crew Chief of the Year Sponsor), KSE Racing Products (Hard Charger Sponsor). In addition, SOD contingency sponsors include: ATL Racing Fuel Cells, Kistler Racing Products, Allstar Performance, Schoenfeld Headers, K2W Precision/Keizer Aluminum Wheels, Ti22 Performance, BR Motorsports, King Racing Products, Simpson Racing Products, Rod End Supply, Diversified Machine Inc. (DMI), Racing Optics. ERIE, MI (March 20, 2016) – Engine Pro Sprints on Dirt presented by ARP is pleased to announce the dates for five-race MAHLE/Clevite Beyond Limits Challenge for 2016. The BLC offers drivers the opportunity to focus on a mini-championship with its own point fund within the full Sprints on Dirt series. The BLC kicks off with the first SOD race of the season at Crystal Motor Speedway on Saturday, April 30th. The 2nd race takes place at Merritt Speedway on Saturday, June 18th, followed by I-96 Speedway on Friday, July 8th, then Winston Speedway on Friday, July 15th. The MAHLE/Clevite Beyond Limits Challenge Champion will be crowned after the finale at Butler Speedway on Saturday, August 13th. The driver earning the most total points in this 5 race mini-series will be awarded $1,000. 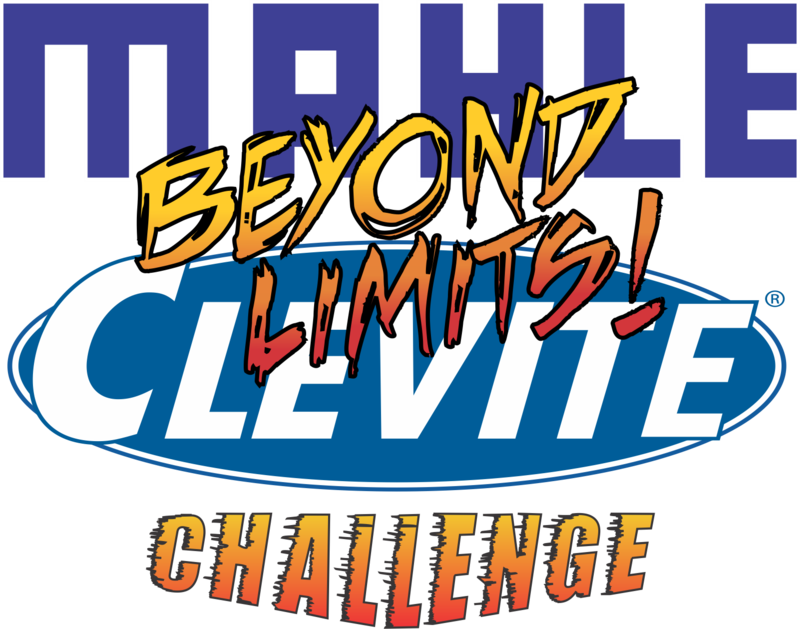 Point fund monies will be paid out to the top seven finishers in the 2016 MAHLE/Clevite Beyond Limits Challenge. To contend for the BLC championship, a driver must display SOD & all primary sponsors’ decals. Engine Pro Sprints On Dirt presented by ARP is brought to you by many important sponsor partners including: Engine Pro (Title Sponsor), ARP (Title Sponsor), Hoosier Racing Tire (Official SOD Tire), MAHLE/Clevite (Beyond Limits Challenge Sponsor), Engine Pro (Lucky Dog Sponsor), Lane Automotive (Primary Heat Race Sponsor), Engler Machine & Tool (Primary Heat Race Sponsor), COMP Cams (Primary Heat Race Sponsor), RockAuto.com (SOD Series Rookie of the Year Sponsor & SOD Sprint Car Rookie of the Year Sponsor), KSE Racing Products (Hard Charger Sponsor). In addition, SOD contingency sponsors include: Kistler Racing Products, Allstar Performance, Maxim Racing, Schoenfeld Headers, K2W Precision/Keizer Aluminum Wheels, Ti22 Performance, BR Motorsports, King Racing Products, Simpson Racing Products, Rod End Supply, Diversified Machine Inc. (DMI), Racing Optics. The Engine Pro Sprints On Dirt presented by ARP right rear Hoosier 100/13-15 medium compound and the left rear Hoosier 92/12.5-15 D15 compound 2016 spec tires, as well as front tires, will be available after March 24, and can be ordered now. If you would like to pick up tires at the Ryan Ruhl/Nic Rogers Fundraiser in Quincy on Saturday, March 26 between 1 PM and 6 PM, email director@sprintsondirt.com or call 734-309-RACE (7223) by Monday, March 21 to place your order. Some extra tires available also. SOD is also taking orders for tires to be delivered to Crystal Motor Speedway test and tune days April 9 and 10. Some extra tires available at Crystal also. 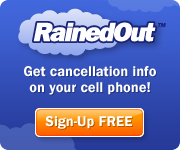 To pick up tires in Erie, Michigan, or make other arrangements, email or text us. Engine Pro Sprints On Dirt presented by ARP is brought to you by many important sponsor partners including: Engine Pro (Title Sponsor), ARP (Title Sponsor), Hoosier Racing Tire (Official SOD Tire), MAHLE/Clevite (Beyond Limits Challenge Sponsor), Engine Pro (Lucky Dog Sponsor), Lane Automotive (Primary Heat Race Sponsor), Engler Machine & Tool (Primary Heat Race Sponsor), COMP Cams (Primary Heat Race Sponsor), RockAuto.com (SOD Series Rookie of the Year Sponsor & SOD Sprint Car Rookie of the Year Sponsor), KSE Racing Products (Hard Charger Sponsor). In addition, SOD contingency sponsors include: K2W Precision/Keizer Aluminum Wheels, Inc., Kistler Racing Products, Allstar Performance, Maxim Racing, Schoenfeld Headers, Simpson Racing Products, Rod End Supply, Diversified Machine Inc. (DMI), Racing Optics. Sprints On Dirt’s Lucky Dog gets a treat from Engine Pro! Erie, MI (March 4, 2016) – Engine Pro will provide one lucky dog with an award for each Engine Pro Sprints On Dirt presented by ARP event in 2016. The Lucky Dog Award winner, a favorite among SOD drivers in the past, will be drawn by the feature winner. The driver finishing in the position drawn by the feature winner will receive $100. To be eligible for the award, a racer must display SOD & primary sponsors’ decals as well as the required Engine Pro Racing decal on the top surface of their nose wing; all decals are provided by SOD. Engine Pro’s 35 distribution centers provide engine builders and machine shops across the country with a full line of brand name internal engine components. Engine Pro distributes engine parts for domestic and import passenger car, light truck, heavy duty, industrial, marine, agricultural and performance applications. Engine Pro is committed to building the success of their customers by offering competitive pricing, innovative programs and knowledgeable sales representatives. Engine Pro also produces Engine Pro brand engine products to provide an affordable option for race engine builders who want the highest quality and a moderate price.